The DGFT, responsible for promoting the country's exports, needs to be brought under the domain of the Ministry of Finance, a tax officers' association has demanded. New Delhi: The Directorate General of Foreign Trade (DGFT), responsible for promoting the country's exports, needs to be brought under the domain of the Ministry of Finance, a tax officers' association has demanded. The DGFT is currently under the Ministry of Commerce and Industry. 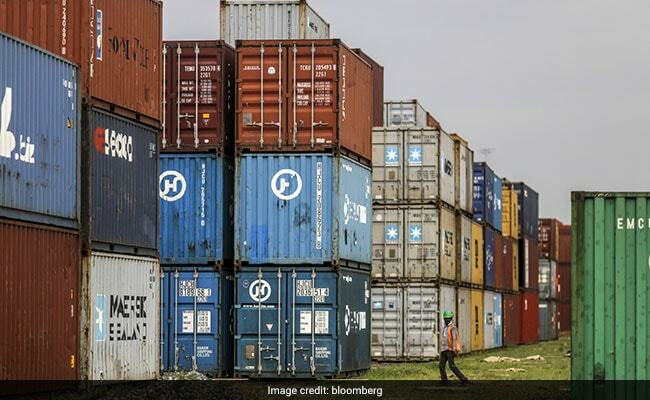 In a letter to Finance Minister Arun Jaitley, the Indian Revenue Service (Customs and Central Excise) association said such a move will help in better facilitation of trade inside and outside of India. The commerce ministry through the foreign trade policy has undertaken a number of measures like imposition of anti-dumping duty, formulation of trade policies and setting up of Special Economic Zones, said the letter written by Anup K Srivastava, president of the association and a senior IRS officer. However, with the major function of trade facilitation being with the Ministry of Finance, and the customs being the first interface of importers and exporters, at times there are problems of coordination. This leads to duplicity of work which at times not only increases the transaction cost but is also detrimental to the growth of economy, it said. "It would be prudent that DGFT be brought into the Ministry of Finance so that there is uniformity in the policy and trade has only one agency to interact with. This, it is felt that such a change would boost the trade measures taken by the government and make India a destination for foreign investment," said the letter. The association said it was learnt that the commerce ministry had moved a proposal towards taking over the functioning of Directorate of Safeguards, a key directorate looking at the interest of domestic industry, under the finance ministry by way of creation of a Directorate of Trade Remedies. "It is felt that the same would not only be detrimental to the trade, but the economic development of the country at large," Srivastava said. The creation of a separate directorate in the Ministry of Commerce when a well developed mechanism of similar type is existing in the Central Board of Excise and Customs (CBEC) under the finance ministry, is felt to be leading to "duplication of work" and setting in confusion in the trade, he said. Srivastava said it has been seen in some cases probed by revenue intelligence agency under the finance ministry that the Importer Exporter Code (IEC) -- mandatory for import and export of goods -- issued by the DGFT had "unknown identities with non-existent addresses". "These are the IEC codes belonging to unscrupulous elements and drawback to the tune of thousands of crores have been taken by them, besides entering into the business of money laundering, by way of fake exports. This in itself appears to be defeating the work being done by the government towards a corruption-free market," the letter said. Apart from this, lots of prohibited consignments like fire crackers etc have been imported into the country on fake IEC codes thereby leading to security threat, it said. "This issue primarily stems from the fact that the officials of DGFT are not tuned and trained towards investigation and enforcement," the letter added. The association has the support of about 4,000 IRS officers and about 76,000 staff working under the Central Board of Excise and Custom (CBEC).